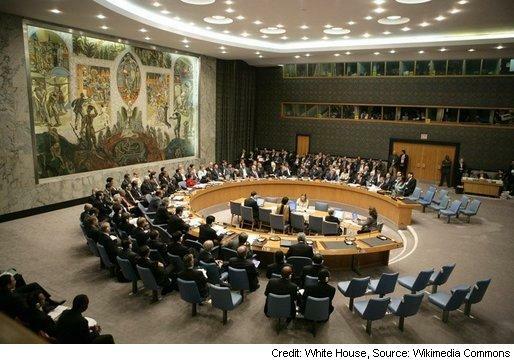 The Latest UN Resolution: Will Obama Do the Right Thing? Will the Obama administration ever be ready to act as an honest broker in the Israeli-Palestinian peace process? Another test seems to be looming. Israeli settlements established in the Palestinian Territory occupied since 1967, including East Jerusalem, are illegal and constitute a major obstacle to the achievement of a just, lasting and comprehensive peace. On its face its not a particularly controversial claim. It more or less echoes long-held US policy on Israeli settlements. But of course when it comes to the UN, nothing is ever that simple. What makes this situation a bit more interesting is that it is not only the usual suspects who are urging Obama to support the resolution. A letter signed by former US officials, prominent policy writers, academics and religious figures has just been released, calling upon the US to cast a yes vote. At this critical juncture, how the US chooses to cast its vote on a settlements resolution will have a defining effect on our standing as a broker in Middle East peace. But the impact of this vote will be felt well beyond the arena of Israeli-Palestinian deal-making – our seriousness as a guarantor of international law and international legitimacy is at stake. America’s credibility in a crucial region of the world is on the line – a region in which hundreds of thousands of our troops are deployed and where we face the greatest threats and challenges to our security. This vote is an American national security interest vote par excellence. We urge you to do the right thing. To be sure, the signators are not easily dismissible: they include former US Trade Representative and Council on Foreign Relations Chair Carla Hills, journalist and former New Republic editor Peter Beinart, former Under Secretary of State for Political Affairs Thomas Pickering, former Assistant Secretary of State James Dobbins, former Assistant Secretary of State Robert Pastor, former US Secretary of Defense Frank Carlucci and former US Ambassador to Israel Edward “Ned” Walker, among others. It’s easy to be cynical about the UN, but it will still be interesting to see how this saga plays out. As Alex Spillius recently pointed out in The Telegraph, it may be Obama’s last chance to present himself as a fair dealer in this region. If history is any indication, the final vote on this resolution will not be forthcoming any time soon. We can surely expect months of wordsmithing and back room dealing, and public posturing. Still, it certainly seems that there’s a bit more riding on this particular UN resolution than usual. This entry was posted in Israel, Palestine, Peace, Peace Process, Politics, UN on January 19, 2011 by Rabbi Brant Rosen. There are no signatories from J Street. Hmmm, I wonder why that might be? Our preferred outcome would be Israeli or American action that averts the need for such a Resolution. However, if the Resolution does come to a vote, we urge the Obama administration to work to craft language, particularly around Jerusalem, that it can support condemning settlement activity and promoting a two-state solution. While we hope never to see the state of Israel publicly taken to task by the United Nations, we cannot support a U.S. veto of a Resolution that closely tracks long-standing American policy and that appropriately condemns Israeli settlement policy. It is time to decide for Obama: to live up to the promises of his speech in Cairo 2 years ago, or to become a footnote among the American presidents. It is time to show that he has earned the Nobel price – or he should give back the money, and the medal. It is time for him – and for all of us – to recognize that the close contacts the western countries have with some third-world countries, such like Saudi Arabia, Tunisia, Nigeria and others, help keeping our society running and our wealth growing, but belie our (!) principles of equal rights for every person, and of social justice. Repeating again and again that settlements in the “territories” – as many Israelis call the occupied land – are illegal, but protecting Israel from any blame when the occupied people asks that this is endorsed by the highest ranking international body, erodes America’s authority not only among Palestinians but in the entire world. I – as a European – had high hopes in the election of Obama. I know, he has taken over the country in a very difficult situation, and he has changed a few things to the better, such like health care. But he promised to end this conflict between Israelis and Palestinians, between Jews and Muslims – which is to a large extend between European and Arab peoples – ; until now he did not demonstrate that these principles are non-negotiable. Yes, i know, it will cost him his job: in two years he will be out of office. But he will stay in history, if he shows at least once to the world that America is still standing with the oppressed. “I have a dream”: equal rights for Israelis and Palestinians, for Jews and Muslims, and a president Obama who is as impressive in his deeds, as his speeches are. Sen. Kristen Gillibrand (D-N.Y.) and sixteen Senate colleagues have also written to the president. They urge the opposite course. So which way will the president go? We’ll all know more in the fulness of time.